Home » News » 50 Years With The Fed! Not many people find themselves returning to an organisation more 50 years after their last involvement, but that’s the basis of Valerie Laddin’s story with The Fed. The year was 1964, and Valerie – then White – and a group of friends decided to raise money for what was then called ‘the old home’ – the forerunner of what would become Heathlands Village in 1977. “Four of us – Jeff Glaskie, Arthur Harris, Pat Garston and myself – wanted to do something worthwhile and raise money. We were offered a house for a party and set up a committee which met every Sunday to prepare for a ‘Dairy Dance’. It was such fun – and I still have the original press cutting!” said Valerie. 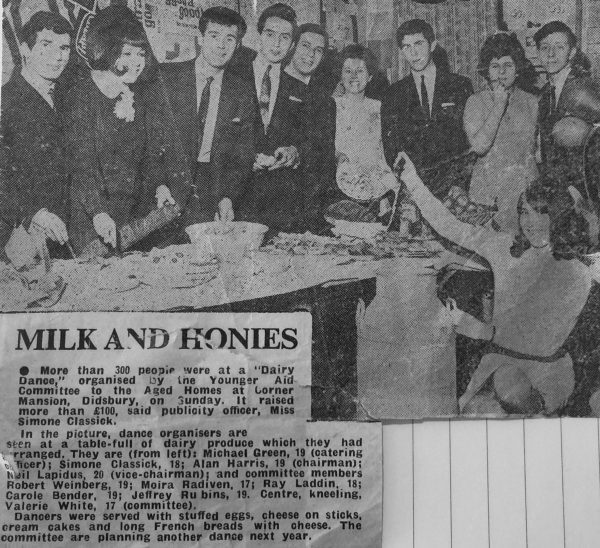 The event in December ‘64 turned out to be a huge success, raising more than £100 on the night – but there was more to be gained for Valerie than just successful fundraising. “One Sunday night we were joined by a friend of someone on the committee, who came along because they were going out afterwards. His name was Ray and as a result of that chance meeting we’ve been married over 50 years! We were engaged two years after met – I was just 16 years old on that Sunday evening! 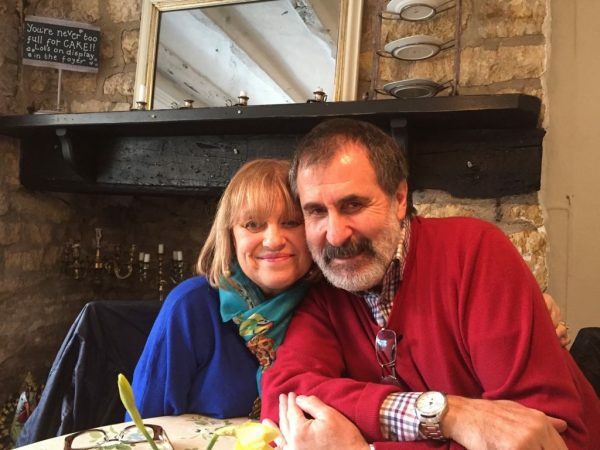 Valerie and Roy went on to have three children – two who live in Israel and one in the UK – and after settling in Sale, have remained there for over half a century. When in later years Valerie’s mother Eileen needed to be cared for, she went to live in Heathlands Village. After she passed away in July 2016, Valerie decided the time was right to get involved with The Fed once again. Today, Valerie helps out across the whole of Heathlands Village’s site, “doing whatever they need me to do” including accompanying residents on outings – but her main passion lies in assisting residents who are living with dementia. From a teenager raising funds, to a relative of a loved one being cared for, and finally as a caring and committed volunteer working at Heathlands Village, Valerie is better placed than most to comment on the warmth and unwavering care offered by The Fed. New Director for The Fed!